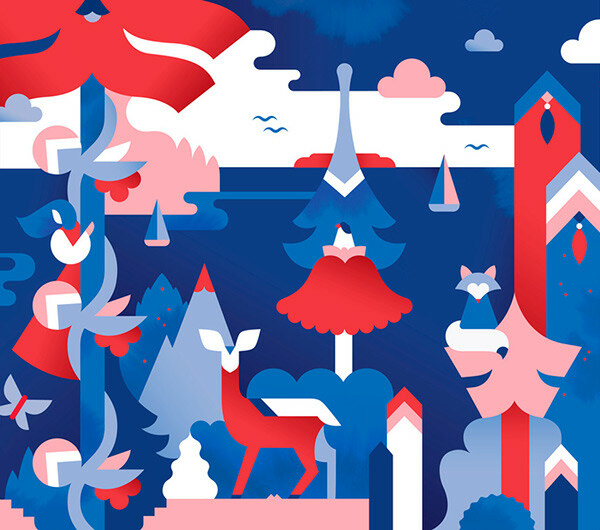 for the coffee brand made together with Owen Gildersleeve. 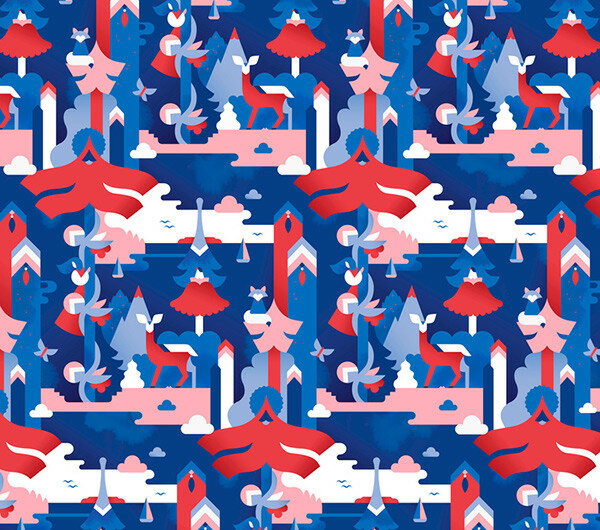 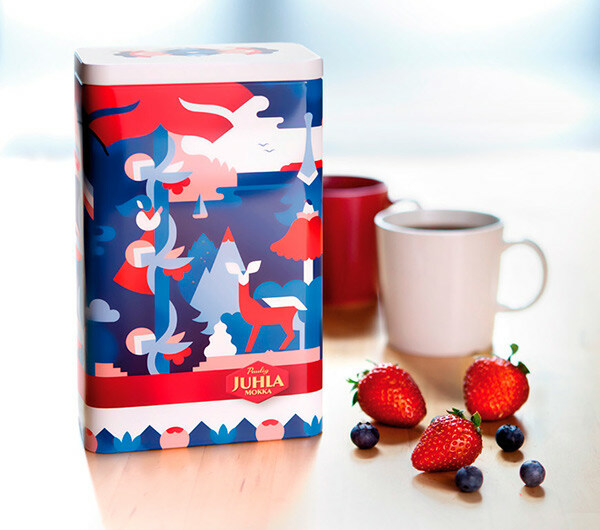 Illustration of Juhla Mokka coffee tin can, inspired by the Finnish lake landscapes and endless summer nights. 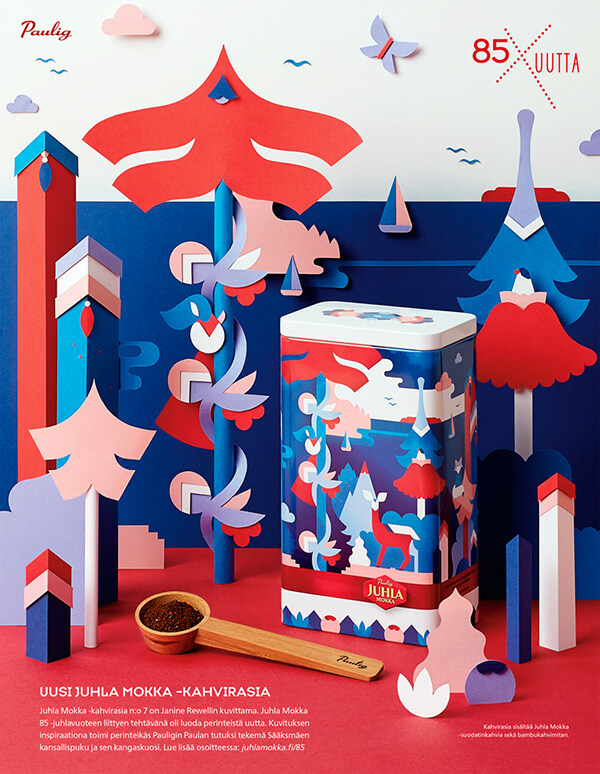 Paper cut advertising for the coffee brand made together with Owen Gildersleeve.